"All homosexuals should face stoning to death, a Muslim preacher of hate declared yesterday. 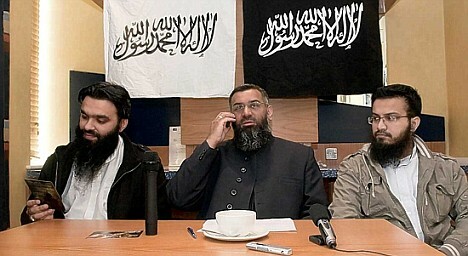 Anjem Choudary, the firebrand cleric who wants to see Britain ruled by Sharia law, said such a regime was the only way to fix the country's ills. Under it, adulterers and homosexuals would be killed by stoning. Asked if that would include anybody - even a Cabinet minister such as Business Secretary Lord Mandelson - Choudary responded with an astonishing diatribe." Im speechless.... what are these people doing in our country.... argggghhhhhhh..
there will never be peace in the world with the likes of them..